There’s nothing Brock loves more than playing hockey. Thanks to the generosity of blood and financial donors—and a gift from an incredible organ donor—he’s back on the ice with his teammates doing what he loves most. At first, it was almost impossible to tell that Brock was getting sick. 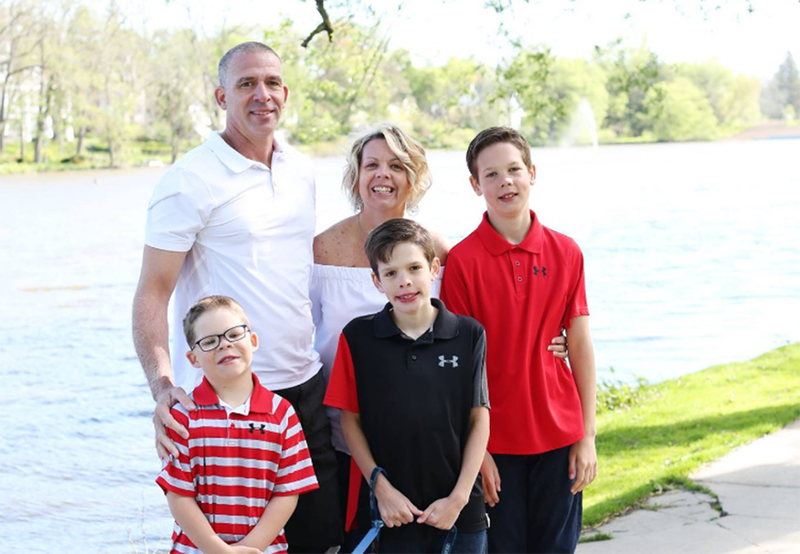 His mom Julie noticed that he wasn’t gaining any weight but this wasn’t surprising given how active all three of her boys are— if she’s not driving one of her sons to hockey, it’s baseball practice or swimming lessons. When the numbers on the bathroom scale kept going down, Julie knew something a bit more serious was at play. She booked what she assumed would be a routine appointment with their family doctor for a nutrition consult and bloodwork. Brock went to his doctor where they ran tests, and did an ultrasound. 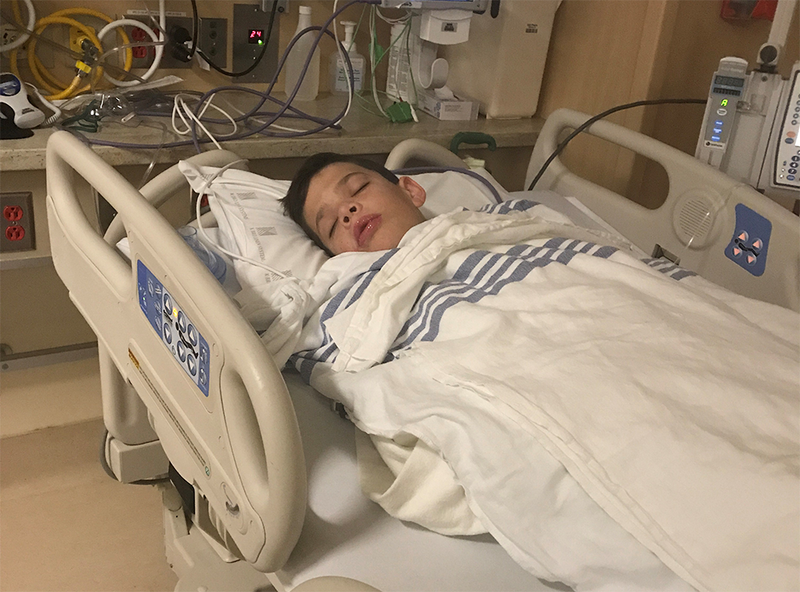 Two days after his visit, on April 26, 2017, the Chessel family received the news that would forever change their lives. 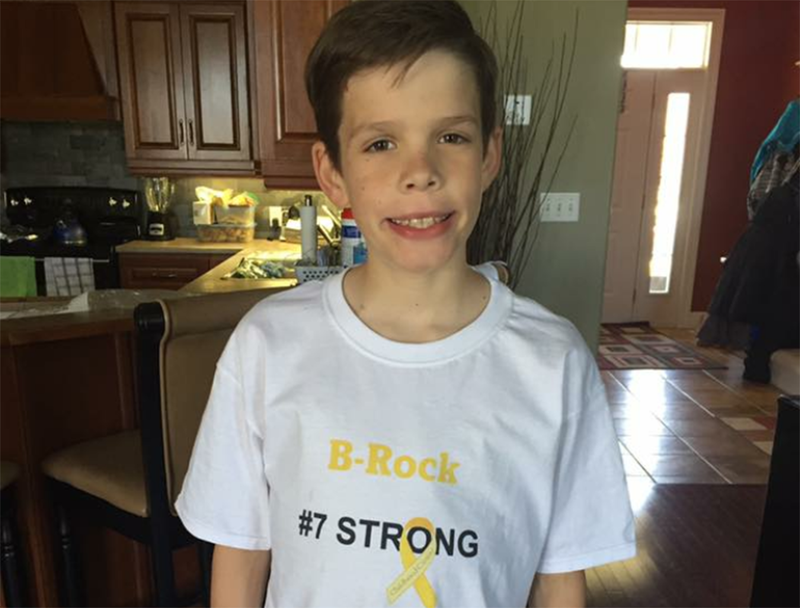 Brock was diagnosed with stage 4 hepatoblastoma—one of the most common liver cancers seen in children. The largest of his tumours was too big for surgical removal. Even Julie’s job as a nurse couldn’t prepare her for what her family would face over the next year. Each week, the Chessels waited anxiously for signs that the tumour was responding to an intensive barrage of chemotherapy. Each week they received the same news that his tumour wasn’t getting any smaller. After extensive chemotherapy, Brock’s last option was to receive a transplant from an anonymous deceased organ donor. He was placed on the Organ Transplant Waitlist, and got the call bright and early the morning of his surgery. Brock made a record-breaking recovery and was back home just nine days after his organ transplant. This September, he returned to school full-time, and he’s quickly making up for lost time on the ice. 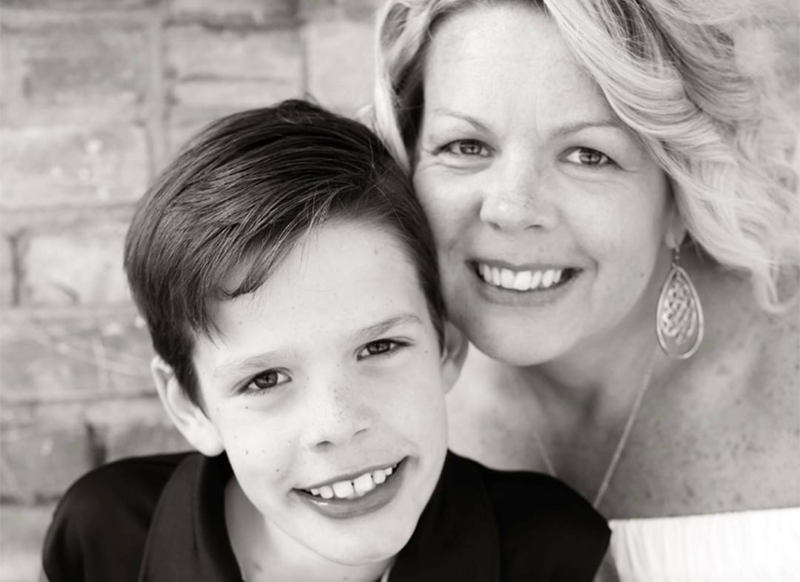 No matter how you donate to Canadian Blood Services, your support helps meet the needs of Canadian patients like Brock. With a financial gift, your impact stretches far and wide, helping recruit the next generation of blood, plasma and stem cell donors to meet demand, and spreading awareness for organ and tissue donation. Financial donations also help Canadian Blood Services’ team of researchers make innovative discoveries—like finding ways to prevent organ rejection by “hiding” transplanted organs from a recipient’s immune system. Or developing new ways to store blood, resulting in better access to blood for remote communities, the military and patients with rare blood types.